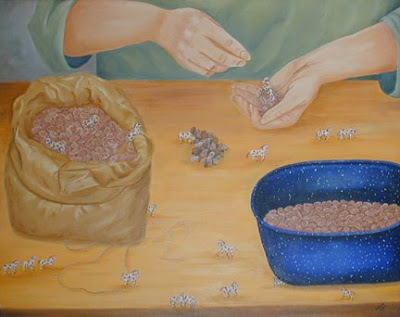 Who knew that all those years that I would begrudgingly sort beans (for the BIG pot of beans to go with every meal) was preparing me for work at the bead shop!? This is a random thought that has crossed my mind numerous times before... Including today while I was at work sorting through some horrendously mixed up crystals. I was sorting through them like I was trying to pick all the rocks & spoiled beans out of the pile. Just something I thought I might share! Hopefully, it even made you laugh!